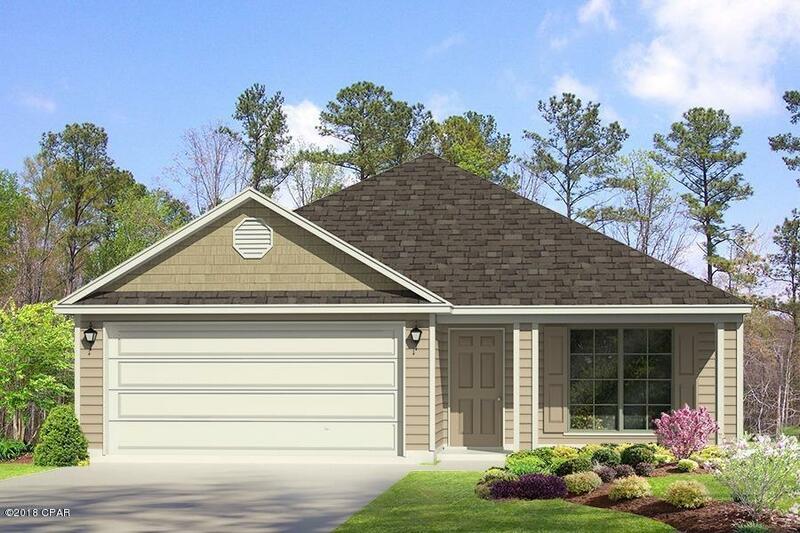 The Ocala plan has a covered entry way and two car garage. As you enter the foyer you will see traditional 8' ceilings, decorative doors with nickel hardware and vinyl sheet flooring throughout the common and wet areas of the home. There is a bedroom at the front of the home that looks out to the landscaped front yard. The kitchen is open and airy and has plenty of cabinetry as well as a pantry. The countertops are durable laminate and the appliances include a coil top stove, microwave and dishwasher. There is a small hallway just off the breakfast area that leads to two bedrooms and a hall bath. There is a laundry area that leads out to the garage.